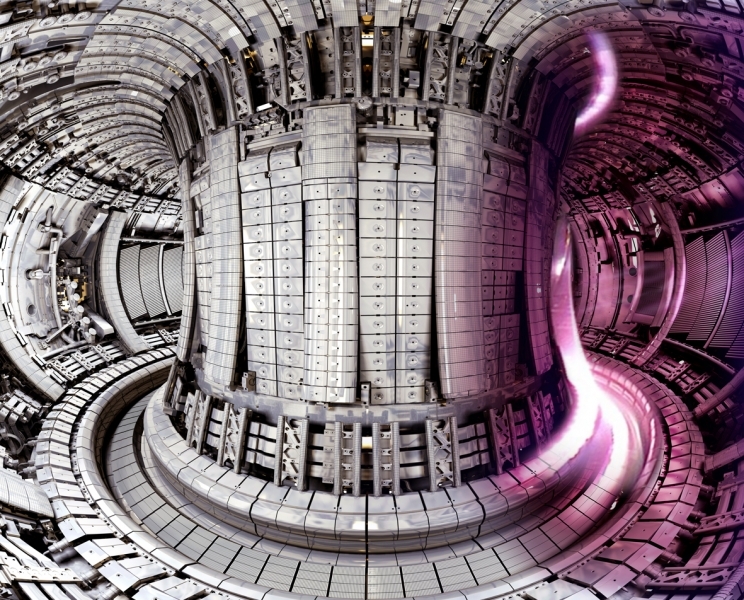 The European fusion reactor JET near Oxford was given a tungsten internal wall in 2010. Credit: CCFE / JET. This week, Lockheed Martin announced an amazing new breakthrough in nuclear fusion reactors. If development is successful, this would completely revolutionize energy production on our planet, allowing us to produce vast amounts of energy with little waste or cost. If that’s not enough, the team asserts that the reactor will be small enough to fit on the back of a truck. This reactor, like all fusion reactors, will mimic our Sun in that it fuses two hydrogen atoms into a single helium atom (conversely, nuclear fission breaks a single atom into two atoms). What’s more, the reaction releases ten times more energy per mass as our regular fission reactors, and it does so without all the harmful nuclear waste. According to company, the major breakthrough in this new development relies on the use of a small “magnetic bottle” that would be able to contain the hundreds of millions of degrees of heat that is created by the nuclear fusion reactions. Ultimately, dealing with the excessive amount of heat is where other projects fell short. By containing this reaction, we can release [the heat] in a controlled fashion to create energy we can use. The heat energy created using this compact fusion reactor will drive turbine generators by replacing the combustion chambers with simple heat exchangers. In turn, the turbines will then generate electricity or the propulsive power for a number of applications. So maybe there is still a ways to go, but if the breakthrough does pan out, we could see major changes in the next few years.